Discussion in 'Top Secret' started by Ramiles, Oct 26, 2016. 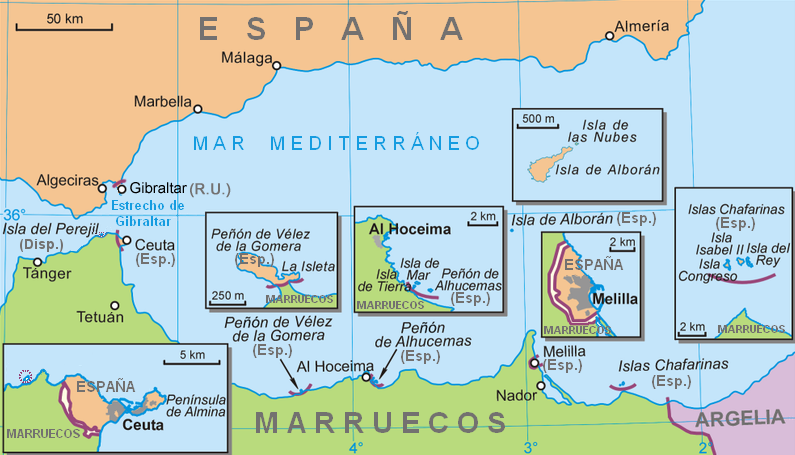 But this is pretty tiny and not really all that near to "there"
Or does anyone else know more perhaps about this "mysterious" island off of Morocco???! I reckon the BBC map shows the area at low tide with a ‘bit’ of the ‘Camarinal Sill’ showing – elementary, my dear Watson!! Interestingly, the sill enhances the strong currents in the Straits, a feature that was used by German U boats to enter the Mediterranean silently, with their engines off, thus avoiding detection. 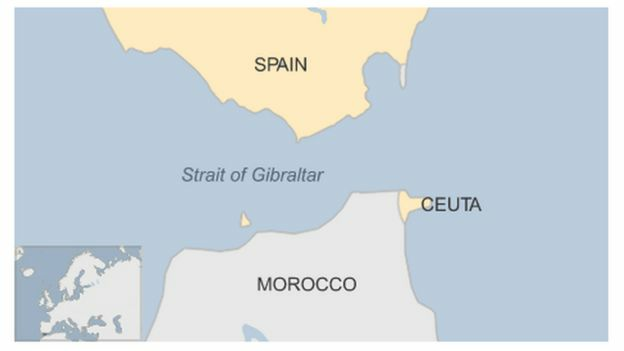 Now that Spain has refused the refuelling request perhaps the same currents will help them coast to the next petrol station. "At tea-time I was looking at our world map, but I couldn’t see the Falkland Islands anywhere. My mother found them; they were hidden under a crumb of fruitcake." Also at about 125m below sea level it does seem a bit of a stretch that it would be exposed at any low tide. Did see on the satellite though that there is a rather large patch of something there but did not really pursue, as I assumed from the first it was some submerged feature as you say. Back during WW2 though I am sure (of course) that the world was much less well known and not so well mapped out and thinking of all sorts of odd stories i.e. Enid Blyton's German submarine bases in the Scottish islands - of course the innumerable possibilities across the Pacific and even hints "read once somewhere" of all the "hidden" bases across the Atlantic, Mediterranean etc. i.e. as in Indiana Jones etc. Pretty confident it's Parsley Island.